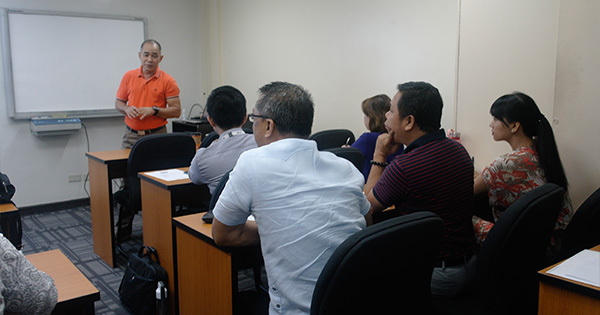 As part of the Continuing Professional Development Series of the Registered Financial Planners (RFP) Program, RFP Philippines has conducted its monthly forum last April 20, 2016 at RFP headquarters, Ortigas, Pasig City. A total of 15 participants consisted of RFP members, graduate members and alumni who are mostly financial consultants and advisers attended the forum and learned on how they can increase the average sales volume of their companies. 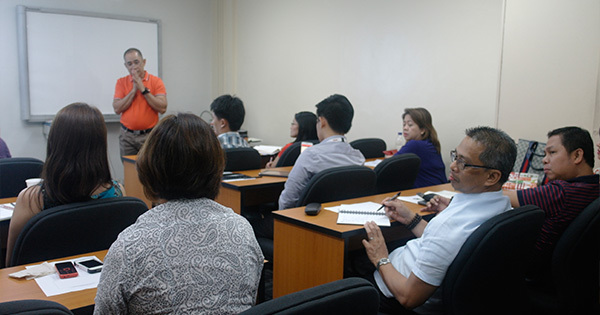 The CPD series featured Mr. Rey Magno as the resource speaker for the topic of “Sales Growth Optimization”. Mr. Magno is a member of The International Council of Management Consulting Institutes (ICMCI) and a certified management consultant for RGM Consulting International. This series gave attendees a broad and deep understanding on the basic financial planning concerns sufficient to work along with clients’ own financial planner in suggesting real estate investment opportunities appropriate to financial planning strategies. Continuing Professional Development Series features beneficial variety of topics that can help a professional develops its capabilities and gain new knowledge to become more excellent in their respective careers and businesses.